As our early childhood classes become more and more academic, it’s important for us to hold onto what we know young children need–opportunities for inquiry, exploration and play. 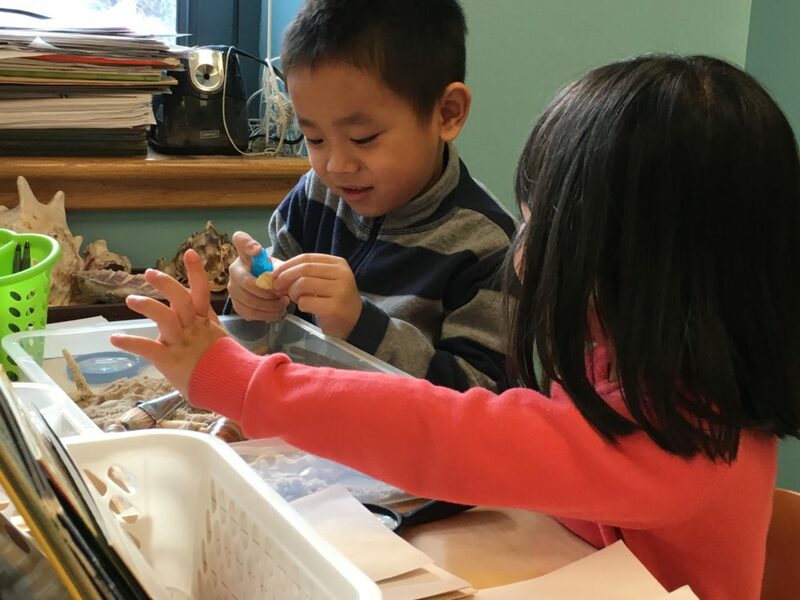 When a powerful, authentic inquiry-based choice time is placed at the heart of an early childhood classroom, the energy, creativity and excitement for learning rises to the forefront. Thinking of the classroom as a laboratory for learning, we will design physical classroom layouts that support this concept. Working from our room plans, we will then look carefully at each center, planning for appropriate materials, and discussing ways to integrate opportunities for writing and reading in each center. Using video clips and transcripts, participants will use an observation template to reflect on children’s work/play in a center and to use this information to develop next steps for the center. We will pay particular attention to how a teacher sets up a center and how children are encouraged to then take ownership of what happens in the center. We will see how Choice Time Journals can be implemented in classrooms to give children the opportunity to use their writing and drawing as a means of reflecting on their day’s experience at their Choice Time center. If you know anyone who might be interested, please pass on this information. Also, if you have any questions, send me an email. The New Hampshire Literacy Institutes is a five-week summer program consisting of two- and four-credit graduate-level courses as well as non-credit workshops. You may register for a course and/or attend a workshop, but auditing will not be permitted. Undergraduates with a bachelor’s degree in May are eligible to attend in July. Permission is required. The maximum load is ten credits. Classes are scheduled daily, Monday-Friday, 8:15-2:15, except where noted. Keynote Speakers are included in the program as a special feature for all participants. This entry was posted in Investigating Choice Time: Inquiry, Exploration, and Play on January 23, 2018 by Renee.